I’ve spoken before about how important perseverance is in cooking. Things just don’t always turn out right the first time. And, in this case, sometimes the second time either. The first time I made this cake, I was dismayed to discover I’d used ground coriander instead of cardamom. Uh-oh. Let’s just say it was a strange tasting cake, not one I’d recommend to you. A couple of weeks later I tried again, having bought a lovely new bundt pan. It was supposed to be non-stick so I thought greasing it would be enough. (I ignored the little voice that was saying, “Flour the pan! Flour the pan!”) This time it tasted good, but the top part of the cake was stuck inside the tin. Certainly not photo shoot worthy! Last Sunday I overcame my trepidation and tried again, and am I ever glad I did. Third time’s the charm! 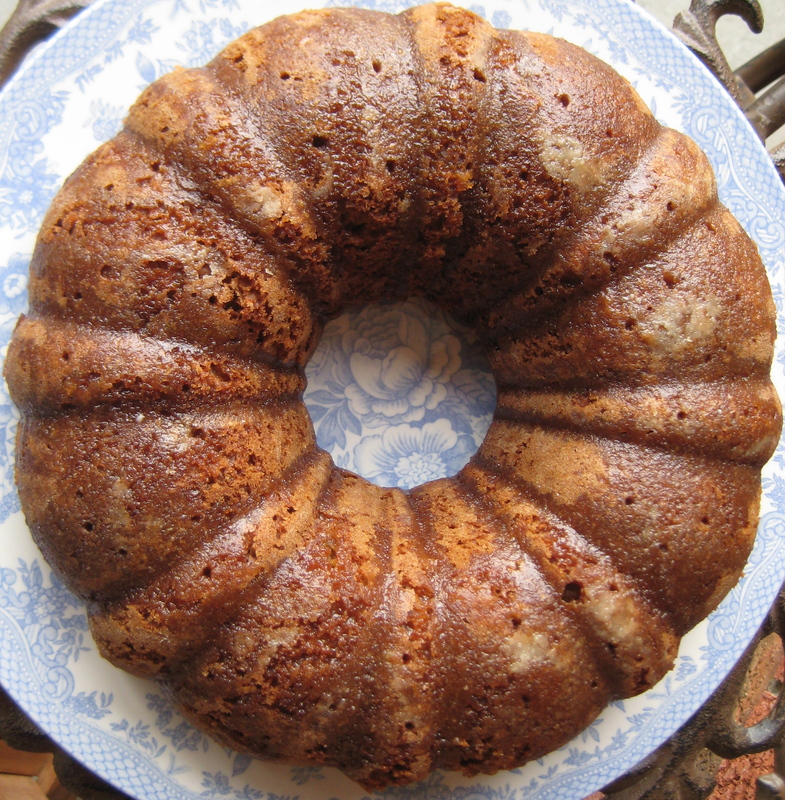 Here’s the story of how I came up with this orange cardamom coffee cake. A few weeks ago, I was at the market and a package of ground cardamom tickled my fancy. I’ve seen a lot of recipes that call for cardamom, but it’s not a spice that I’m was very familiar with at all. 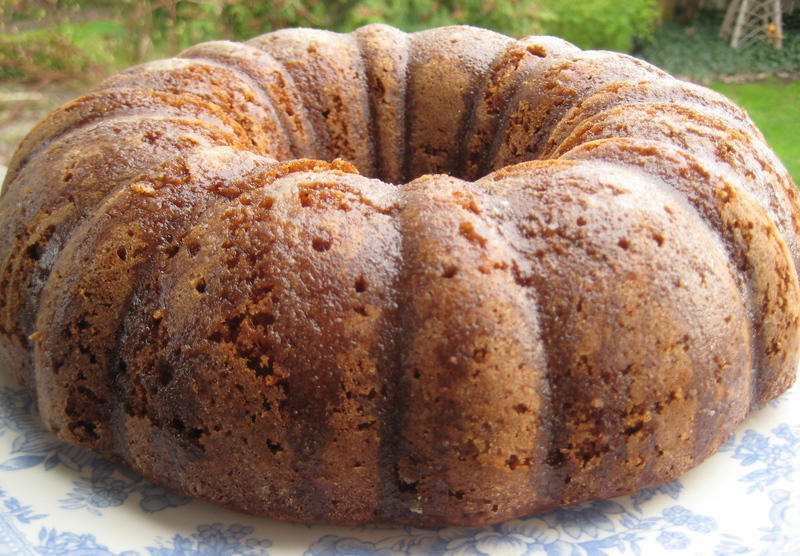 So, into the shopping cart it went, and I drove home thinking about ideas for a spice cake. I looked through my recipe books, and noodled around on the internet looking at recipes, but ended up deciding to make a major renovation to my old standby Cinnamon Loaf recipe. That was my Dad’s favourite coffee cake, but I don’t think he’d recognize it now. Instead of sour milk, I used freshly squeezed orange juice. I added the zest of an orange as well as ground cardamom and a hint of cinnamon to add fragrance and subtle, exotic flavour. There’s no filling or topping to this recipe, although I did go all out on the wild side and made a simple citrus glaze for the top. The result? 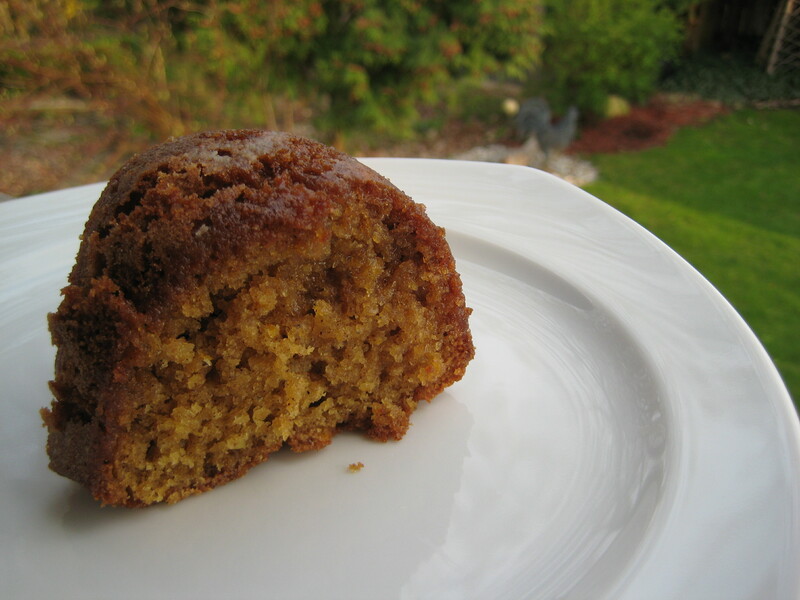 A moist and tender cake, with a pleasingly firm exterior sticky with a sweet, syrupy glaze redolent of orange. The flavour of the orange in the cake complements the subtle notes of the cardamom beautifully, and the flecks of orange zest add colour as well as bump up the delight for your tastebuds. The Culinary Enthusiast and a friend were watching a hockey game in the basement while this cake was in the oven, and I kept hearing “Something smells good up there!” We sat on the deck in the mild spring sunshine to sample the cake, and the verdict was unanimous: wonderful! I’m so pleased I didn’t give up on this one, tempting as it was after my first two attempts. Our friend went home with a BIG piece of cake, and Brent and I had another slice each that night while watching Mad Men. The rest of the cake was supposed to go to his workplace the next day. Somehow it was ‘forgotten’ on the counter and we just had to finish it ourselves. Such a shame, we love to share! Grease and flour a bundt pan. Pre-heat oven to 350°. Cream the butter and sugar until light. Add the eggs, vanilla and zest and beat until smooth. Add 1/2 dry ingredients and stir until mostly incorporated. Mix in half the orange juice. Then repeat. Stir until just blended, being careful not to over mix. 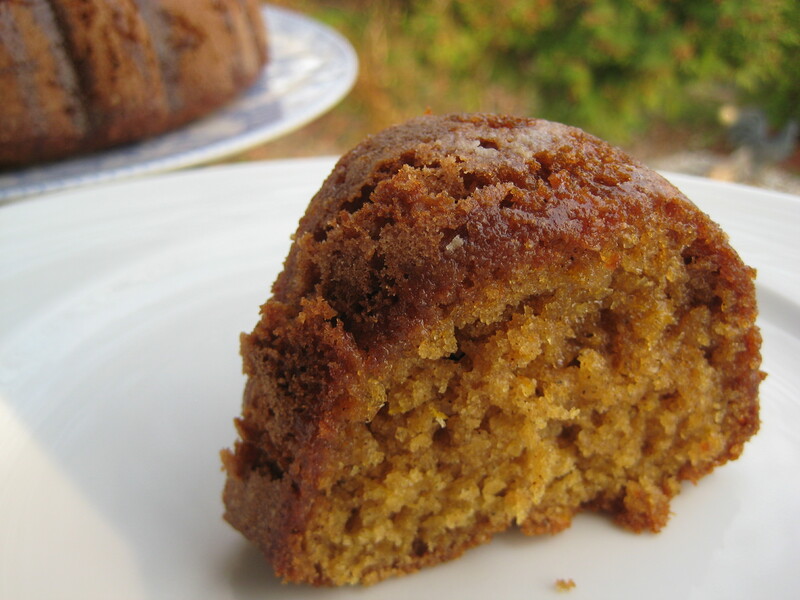 Pour into prepared bundt pan, and bake at 350° for 50 minutes, or until a toothpick inserted comes out clean. Turn the cake onto a rack right after removing from the oven, to help prevent sticking to the pan. 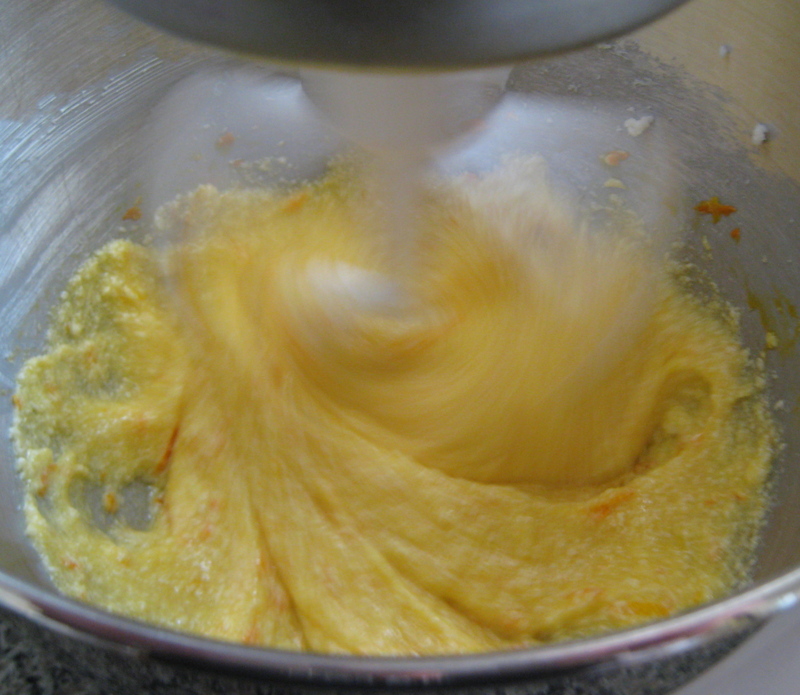 If using the glaze, sift the icing sugar into a bowl and add the strained juice of one orange. Stir until smoothly mixed. 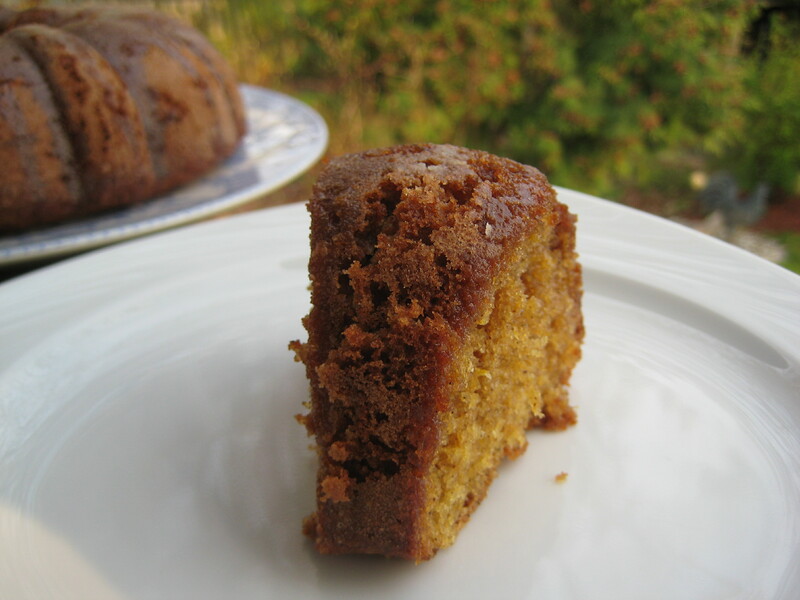 Use a toothpick to punch holes around the top of the cake. Leaving the cake on the rack, set it over a baking sheet or piece of parchment paper. Then spoon the glaze over the top, letting it run down the sides and into the little holes. This cake is amazing served while still warm from the oven. And the next day, too! I’ve done that so many times.. ignored the little voice that knew better;) Third time is definitely the charm, this looks so lovely and moist!! I’ve made a few bricks myself over the years! I just had two failures with cooking quinoa before it finally turned out right. First time was soupy, second time I actually burned it (moral: do not leave stove to check out WordPress in the other room), and finally it turned out right. This third time’s the charm thing is getting a little old! You’re right about the orange glaze, it really took that cake to the next level. Thank you for the nice comments! Thank you! I’ll definitely be making this one again (but maybe not for a little while 😊 ). It made me laugh how persistent you were to make this cake! I would have probably given up and blame it on the recipe! 😉 But I guess it was worth it! I am pretty familiar with cardamon,hmmm I wonder if cardamon chai would be a good accompany? I didn’t think of having chai tea with this cake, but it would be worth a try! I would think the flavour of the chai would complement the cake. Thanks for sharing a great idea!